Anytime I hear the word salsa I can’t help but think of summer harvest. It’s been super exciting over the past few years of summer gardening to be able to add new vegetables from my harvest to the traditional summer salsa recipe. 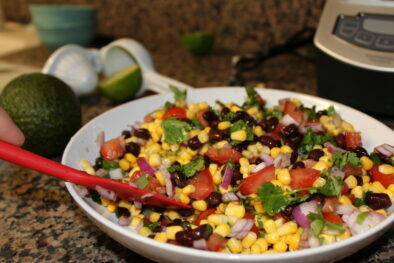 In this post, I share my favorite Summer Harvest Salsa! Most people don’t realize you can grow a complete salsa party in your own home space. Corn, beans, onions, and garlic are a few produce that are easy to grow. As long as the growing space has up to six hours of sun you are most likely going to succeed. My friend Janet Cassidy and I talked about growing broom corn which grows the same as corn you can eat in a live stream presentation. This is my #GROWSOMEBOOM corn in the garden. 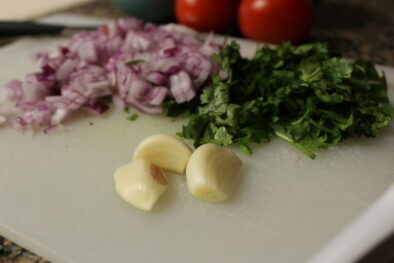 The only requirement with making the best salsa is using the most absolute freshest ingredients. 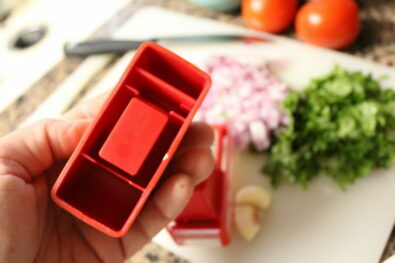 I hope you will take advantage of the print button featured in this share. 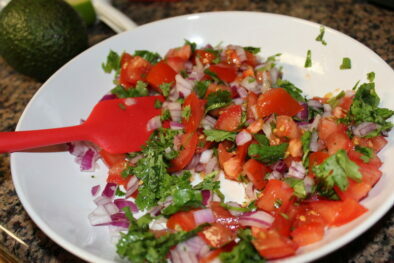 Garden Fresh Salsa with avocado and more! Always a hit at summer parties especially when sweet corn is fresh and in season! 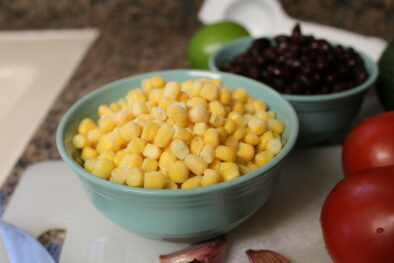 2 cups of fresh corn / Frozen sweet can be used but fresh is best! 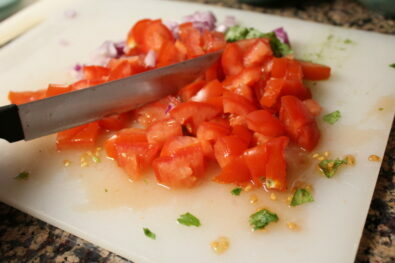 1/2 cup of fresh tomatoes diced. Cook up corn and slice off the cob when cooled. 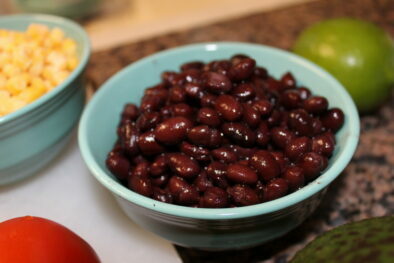 Place kernels in a medium bowl. 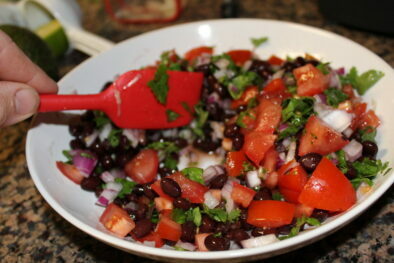 Stir in avocados, red onion, tomato, beans, pepper, and garlic. 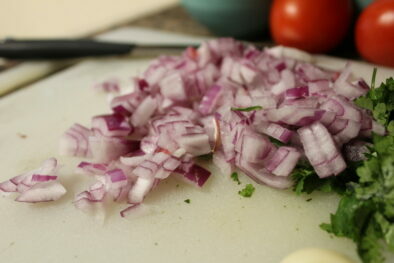 Add cumin – Mix in lime juice. Season with salt if desired. 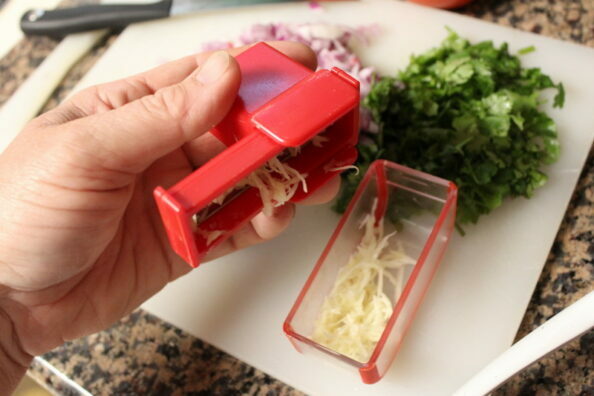 Serve with your favorite tortilla chip. A similar recipe was shared with me by a neighbor at a 4-H event. 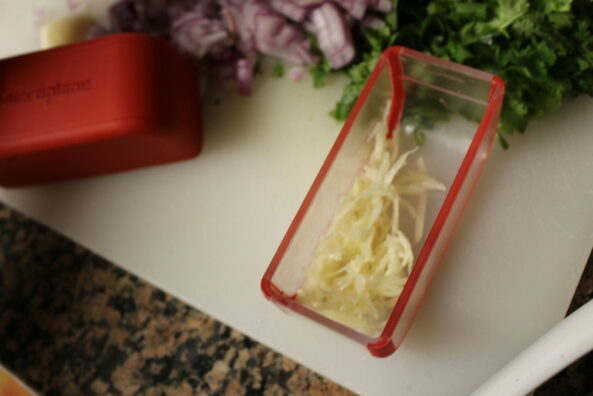 Over the years I’ve added my own fresh ingredient spin to the recipe. 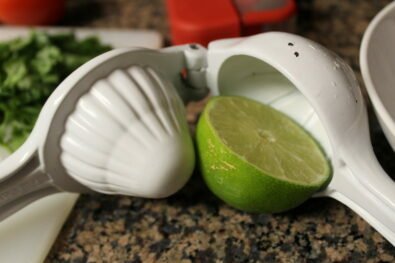 Lime for squeezing into the finished salsa. 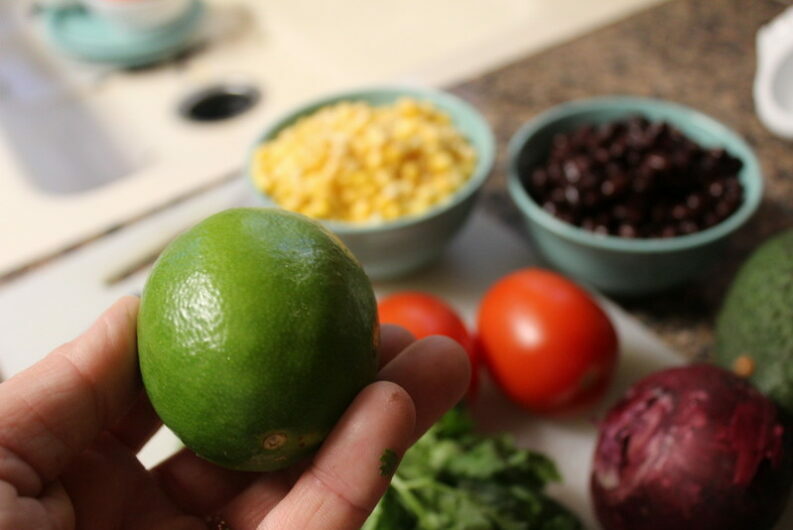 squeeze the lime into the salsa and stir the mix. 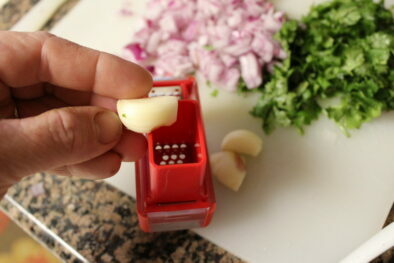 In today’s recipe, I feature one of my favorite garlic mincers that are super easy to use and clean. 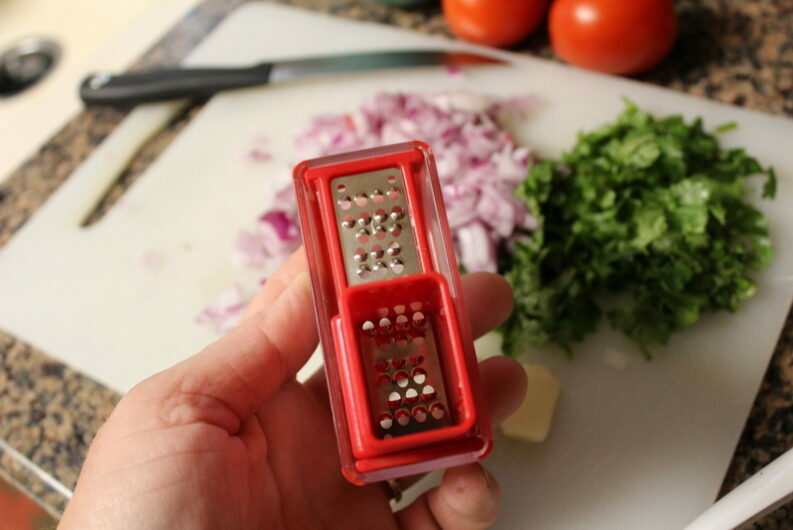 This product can be purchased on Amazon. Be sure to add this to your favorite Pinterest Recipe board by clicking below. 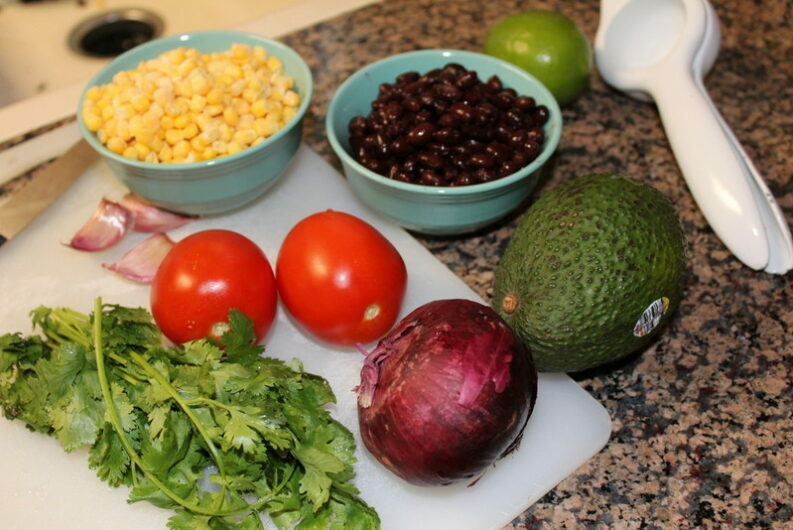 What are your favorite fresh summer ingredients to add to salsa recipes? Lovely photo and great summer recipe, Bren. (Very to similar mine) Happy August gardening, cookin’, and canning! Aren’t these the best days Joey?!!! I need to check your recipe out to see what spin you put on yours. 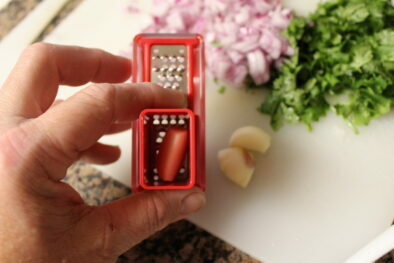 It is hard to share a recipe ‘exactly’ how it is made because I usually throw in what I have on hand. Yum… I might have to try that. I’m currently drowning in tomatoes… need to find new things to do with them! May I suggest canning them for year round use in recipes! 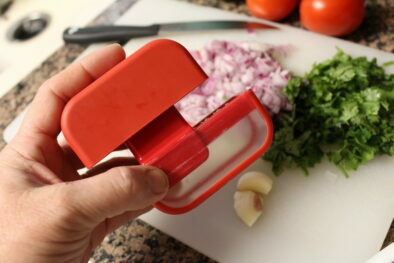 I shared some of my experience at Tomato Canning Day August 2007. 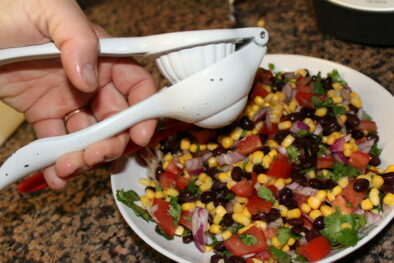 Wow your salsa looks delicious especially with the corn. Amazing photography! It’s very nice to meet you, thanks for adding me on facebook and the sweet compliment about my photography. I have so much to learn but I practice and take tons of pictures, it helps that I have a degree in Graphic Design! I added you to my google reader and blog list, looking forward to reading your posts! My husband walked into my room when I was looking at your post and he said, Wow where is the recipe for that? I told him I’m going to click on the picture and it should be there. 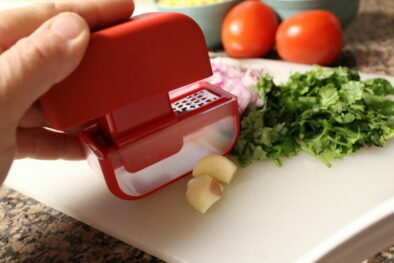 That’s what I did and guess what we are trying out, your home made salsa! Thanks very much for that! My mother recently harvested her garden full of tomatoes before the winter really set in, and I found myself the owner of two or five buckets worth! Of course I couldnt eat them all like that, but I did find a website full of loads more tomato recipes at this site. A whole website dedicated the topic!! Crazy what you can find on the internetz nowadays! !